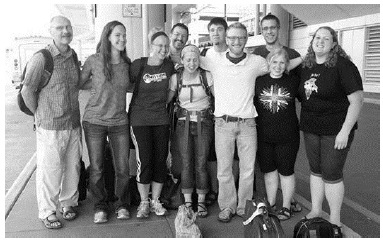 Now, by the time this article is being read, the 2013 CLC Mission Helpers will be back to their daily routines of school, friends, home, worship, and work. But most every for-mer Mission Helper will be quick to tell you that the memories and faces of India, the abundance of opportunities to serve the Lord by serving others, and joy of working alongside their newly acquainted brothers and sisters in Christ in spreading the Gospel are never far from their thoughts. Former Mission Helpers share stories of how the Mission Helper Trip they were on continues to impact their daily lives, even some 12 years later. A recent conversation with a former Mission Helper to India led to an explanation of how, this mother of two, thinks about India almost every day and hopes the Lord will provide her the opportunity to go to Africa or back to India again someday!  work of our brothers overseas. 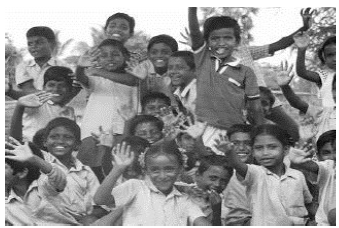 But, to sum it up in one sentence (or two): I’ll never forget the experience of the Mission Helper Trip to India; it was nothing I ever could have expected, but more than I ever could have imagined. The opportunity to work with our broth-ers and sisters in Christ “as they are going” was truly an honor.  It is marvelous when to see the response of the children especially to our smile or hand shake and when they hear our words translated.  The Mission Helper Program is incredible in how it gives you a different perspective and makes you realize the deep need for the Word abroad and at home.  We thank the LORD for protecting us along the way. I’m truly amazed by the dedication the pastors have for the Gospel ministry. They are shining examples of how I should live my life.  The work of the Gospel is endless, and our calling to bring the Word with us in all we do and reflect God’s love to all humanity is a lifestyle, chosen by God, for us to thrive within. Seeing the work that the Christians in India are doing is empowering and encouraging, and further motivates us to bring the Gospel to those around us, as these faithful Indian Christians do in their communities.  I think the only way it’s possible to really know the need for mission work in India is to see it first-hand.